Real estate investment is widely regarded as a less volatile investment than the stock market. While the stock market is subject to dramatic fluctuations based on the economic climate, the housing market is relatively predictable. Homes tend to appreciate in value over time and build equity with responsible mortgage repayment. In the case of buying to sell, investors can use the profits from one project to fund another. The advantages of buying and renting are higher returns over time, less time-related pressure, and a steady passive income. Some of the disadvantages of buying to rent include fluctuating market conditions, management issues, and problem tenants. The quantifiable advantage of buying a property to sell is instant return on investment and less time to recover the profit. Subjective advantages some investors report include the lower risk of buying and selling a property that equates to fewer hassles in terms of carrying costs and tenants. Rents are appreciating nationwide, at an average rate of 20% over the past five years. Appreciation rate varies from region to region, choosing a region with a more rapid appreciation rate will yield greater returns over time and has the potential to allow the investor to pay off the mortgage faster. 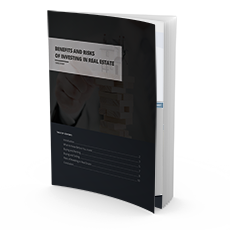 One of the biggest risks faced by real estate investors is misinformation. Investors who think they can get rich quick or manage a rental property like they manage their own household are setting themselves up to fail. Real estate is one of the most popular long-term investing option. Consulting a professional like a real estate agent or loan officer before shopping for an investment property is the best way to secure the right investment property at the right price.